Unlike every week, when I sign off with acknowledging Umera, Sarmad and team SeZ for a job well-done, I would like to begin this week with a heartfelt thank you to all involved with the project. Beginning with 7th Sky and MD Productions, Momina Duraid, Umera Ahmed, Sarmad Khoosat, to the technical crew, the creative team, the editing team, to Khizar Idrees, and of course last but not the least, the absolutely brilliant cast – muchas gracias!! Why a thank you? Thank you because team SeZ has made us think, reflect, and ponder… for sixteen weeks now they have been holding up the mirror and compelling us to re-evaluate our thoughts, words, and deeds. Week after week, as Falak has journeyed from wujood to zaat, we have been right alongside her in this quest to find some solace, some solutions, to questions that almost all of us have asked at some point or other in our lives: Why me? Why now? Why this? Why that? What have I done wrong? Why am I being punished? Shehr-e Zaat has beautifully highlighted that answers do not lie outside of ourselves, they are infact within us, all that is required is a realization of error of our ways, and then asking for forgiveness. It is not about guilt but about acknowledging mistakes. It is easier to assign responsibility on extenuating circumstances rather than owning up to the stark reality that it is us, we ourselves, who have to shoulder the blame for deluding ourselves into forgetting the difference between majazi and haqiqi, between faani and baaqi, between social friends, to whom we give so much time, and the Real Friend, for whom we cannot find even a moment to spare. What we are being shown here is that it not about shunning all and retreating inwards, rather it is about ascetic spiritualism as was highlighted last week. It is about being able to find the right balance between deen and duniya, recognizing the distinction between zaroorat and khawhish and chaah, and about owning up to personal responsibility. This is the path that Falak is now trying to tread, a middle ground between what naani is teaching her now and what Mehrunissa had taught her before. This penultimate episode has left me speechless. I am still recovering from the impact of the beauty and intensity of all that we saw today. Ostensibly a slower episode there was so much simmering just below the surface, setting it up beautifully for a memorable finale. Falak has now started emerging out of the darkness of her past. In some ways she is like a newborn child, beginning with a fresh slate, learning anew how to forge a relationship with her Creator. There are many things that children are taught as prescriptive rituals – reading the Quran, offering namaz – once the child has “learnt” them, people tend to move on thinking their job is done. The wuzu scene was very moving, the guileless manner in Falak looks to the young girl to teach her the correct way was so moving, and so telling in many ways. This is so not the same girl we met fourteen fifteen weeks ago, the one whom I had affectionately nicknamed flighty Falak, the girl who wore red lipstick and high heels and brightly colored designer wear- this is a new woman altogether, one learning to live all over again – excellent stuff by Mahira Khan. Speaking of the differences, the earlier Falak was a very confident girl, and interestingly enough the Falak we saw today is also a confident girl, the biggest difference though, lies in that earlier she derived her confidence, or rather her arrogance, from her looks and her social status, whereas this Falak draws strength from within herself, from her new found relationship with God. It is this faith that gives her the courage to face up to the mess of her marriage, try to figure it out on her own rather than hiding behind her parents, or letting Salman make the final call, or getting a divorce. While her parents push for divorce, it is surely the easiest way out, this mature Falak weighs naani’s advice against that of her parents and then forges her own path. Rather than wondering about could’ve and should’ve she decides to take the bull by the horns and go confront Salman and figure out for herself what she wants, a move away from the original novella, empowering Falak more so than in the original – I am intrigued to see how the end will play out. The confrontation between Falak and Tabinda was beyond brilliant. Without resorting to anything overt, it was superb the way Sarmad and Nadia underscored the myriads of ways in which the coarse Tabinda was the antithesis of the cultured Falak. The messed bedroom (my OCD self was very perturbed), Tabinda’s crude lingo, her body language, her drinking soda straight from the bottle, all went a long way towards nullifying her Wayfarers and designer duds and blow-dried hair. Clearly glitzy packaging cannot transform the real Tabinda. But does it really matter anymore that Tabinda is uncouth and crass? Nadia Afgan is an very talented actress and a beautiful woman, and I think its high time producers showed some imagination and initiative and looked beyond outdated and narrowly constructed societal stereotypes for heroines. Girl, I have my fingers crossed for you! In what was a lovely episode overall, the best scene had to be one where Falak read the Quran. I am often harsh on the editors, but today the layering of Falak’s stumbling reading of the Quran with naani’s reading and then that overlayed with naani’s explanations was just magnificent. Add to this Mahira’s facial and Samina Peerzada’s vocal expressions and the overall impact was just wow! I was in tears and had goosebumps all over – sheer brilliance!! As if I haven’t said this a thousand times before already, let me reiterate it one more time: I love Shehr-e Zaat!! A wonderful review for another wise average episode. I think we have become so used to having such great episodes for the past few weeks, that today’s episode just paled in comparison for me. There were some brilliant strokes like the wudu, salah, and Quran recitation scenes and when Falak walks through “her” home and Tabinda barges in. I for some reason did not like how everyone kept on blaming Mehrunissa for everything. It was extremely mean and selfish how all of a sudden it became Mehrunissa’s fault as to what happened with Falak. Also did not agree with Naani’s statement that sometimes children have to suffer because their parents have done some wrongs….hmm…not sure about that. I think a little less makeup during the Mehrunissa on the stairs scene would have worked better to display Hina Bayat’s emotions. And I am a little perturbed by the preview. Why is Falak asking Salman about why he chose Tabinda over her. Is it mere curiosity? I hope so because she is supposed to be “over” him by now as she has said so herself. Or is she lying to herself and is not over Salman yet? We have seen a new Falak emerge over the past few weeks and the preview just seemed like we were still seeing the old Falak. Let’s see how the ending plays out. Today’s episode just left a little more confused than satisfied or introspective. I felt bad for Mehrunnisa today coz if at age 50 or so, you realize that you’ve done everything wrong (atleast accd. to everyone around you) then it would be a pretty depressing situation. Yes, I too think that it was a bit mean blaming M for all of Falak’s problems specially coming from Nani, after all Nani could then be blamed for not bringing up her daughter well. Waise bhi even if Falak had been different, there is no guarantee that Salman wouldn’t have done this to her. I think more than anybody else blaming Mehrunisa, it was she who was doing khud-ehtasabi, taking account of her actions and not being happy with what she saw. Ironically, I think what seemed to hurt the most was her friends’ bitching. These were her peers and she really thought they “got” her. About the previews- Ive been avoiding them, so lets see how that pans out and what goes down between the trio. I don’t know but for me Mehrunissa could have proved that she is Nani’s daughter only if Sher Afgan didn’t proved ‘darwaza’ for her.. who have stopped her way and wanted Mehrunissa just like he wanted.. so i can’t totally blame her.. but liked her self realization. Ditto on loving SeZ. Add to that your review. Yes, this play makes us think. I was surprised when my 11 yd old after watching last week’s episode said that she liked SeZ more than Humsafar. Even she ‘got’ the clothes-throwing -out-and-clueless mother part. For me the best scene was Samina Peerzada’s rendition of the translation. Have read it many times before, but coming at that time of the play, in that situation, it was almost as if I was hearing it for the first time… goosebumps et al. I also connected with the concept that even our relationships are kind of a test from God….how deep is that? Gives one strength to carry on even if there are some people who completely sap the energy out of you. yes these scenes, the wudhu and the Quran scene def gave me goosebumps! it was all so well done! Samina Peerzada and Mahirah Khan are brilliant together! i second you on how our relationships are Azmaaish.. have been pass through all this. Thankyou SZ for loving SeZ! And yes I should have lost the base in the staircase scene – but unfortuntaely this scene was done very early on in the shoot and the final episodes were still being written. – so a faux pas on my end but hadn’t really gelled in completely with the character at that point. How did Mehrunissa feel? Everyone will find out in the next episode 🙂 I actually requested Umera to re-write a scene and am grateful that she did because to me Mehrunissa was going through her own process of realisation, of finding herself, of differentiating between greed and need! Mehrunissa would have felt her guilt even if she wasn’t blamed because somewhere inside her she knew she had been unable to maintain that balance between deen and duniya! It was a journey of self realisation for both Falak and Mehrunissa – of understanding the true meaning of qana’at and zaat! What a fabulous episode,this has to be my favorite one yet. I was really mesmerized in the first twenty five minutes of the episode .Well in the beginning i had a few apprehensions that why are they going to show Falak choosing and going to religious extreme as i pictured it in my mind,leaving everything.But along the journey they have done it so classically that nothing feels overdone.It really feels as it has to be the Right thing to do.Well i really loved this one in particular because of the confidence that i saw in the new Falak ,the really evolved self.I literally had tears in my eyes when she started reading ‘alhumdil il alah’ In the very first verses the answers to all her problems were there as she slightly winced on gumrahoon ka rastaa. Same goes for the Wadu scene her innocent attempts simply left an impression on me. Again it was her confidence which made her take a stand in front of her parents that it is now not her obsession for Salman but plain understanding that beacuse they are in a relation so that she is bound to think of him.I could totally see a new person. I kept on thinking what will do the trick for Mehrunissa as Falak’s troubles as yet could not menage to do so, but as Falak said earlier ‘hum say humari paseendeda cheez chin jani hoti hai’ so it was her friends.Her social standing was more important to her than her daughter, family ,household,and what a stellar performance by Hina Khawja Bayat,on the stairs. Nadia Afgan though has a short role but really makes an impression.I am really intrigued how they are going to end it now. and one again lovely review as usual. I think falak hardly or rarely used to do Wuzu as she is personified then it is not shocking that she didn’t know how to do wuzu. And if you remember in the first episode we were shown a scene where naani asked Falak to recite bismilah before having meal and she replied ”bismilah bhool gae naani”. I think that was enough to show her touch with all this. WOW! Along with lots of aprrciations that goes out for the wonderful cast and crew of SeZ, my thank you bucket contains tons of thankyou(s) for you too SZ! This review has been impeccably written and all the scenes highlighted are truly worth it all. The wazu scene totally stole the show. I loved Mahira’s well-done expressions when she raises her head from time to time to get the assurity of the little girl if she is doing it right. Mehrunissa’s friend couldn’t stop ranting. She went on and on….I was irritated with that Aunty nonetheless I enjoyed the scene. Mahira and Mehrunissa were ‘beautiful’! The action packed Tabinda looked extremely merry holding Khaadi’s shopping bags and wearing Sania Maskatiya (most probably) :p Mahira and Tabinda are poles part and I was glad to see Falak ask Salman that question in the promo. I loved the cinamatography today<3 Kudos to Khizer Idrees for shooting the staircase wala scene in a mind blowing way and letting us see Falak's expressions through out. and hard to believe Salman’s mother also badmouthed Falak. Not cool! As usual a fantastic review. When compared to the other reviews written for SeZ, yours has so much depth and picks up such important points and highlights all that could have been neglected, that it is just amazing. YOU are also responsible for its success so say Thank you to yourself too. But yes, it was a great episode.And when I discuss it with my friends and other flighty ladies of Karachi 🙂 many say that it is just the thing Pakistani society needs at the moment: Realization that’Junoon’of material things is now woven in the fabric of our society.Atleast this serial has encouraged Introspection at many levels. Mahira is really superb and Wuzu scene was simple and touching. However, I had loved the original ending of Umera Ahmed. I did not like Falak going back to that house. Lets see how they deal with the End. But it has been a very good ‘sabak amoz’ serial.Well done Team SeZ and well done SZ!! I can’t get over the mess Tabinda had made of Falak’s room. All those Khaddi bags, one in the room, one in Tabinda’s hand. Those really cracked me up coz Khaddi has to be the most popular clothes store here amongst the well-to-do. At any given time, any such household would have 8-10 khaddi bags around. They’re good quality so people reuse them/ use them for giving gifts in/ carry things in them. Nice touch Sarmad ‘n Nadia! Falak’s perfoming wazu, reciting Quran and offering namaz all scenes were too good. Really i always felt so helpless in explaining my feeling when it comes to SeZ. How perfectly Mahira was portraying every emotion. The Dard was felt so hard from her face and her gestures. Falak’s blaming of Mehrunisa is not wrong. Not completely but somehow she is wrong not only Mehrunisa but her father also. As if we look around family environment and brought up plays the integral role in shaping an individual. We can’t be odd one out of our families. There is friend of mine who don’t know how to offer namaz. As no one in her family offer namaz and asked her to do so. Parents are responsible for building the extent to our relationship to religion. Molviani bnana is not at all the requirement pr Allah se rishta tu hona chahie. Whether we accept or not we always follows the path of our parents. As they reshape us. Although we are actually asked to explore ourselves rather then simply following what or aba -o-ajdad told us. And Mehrunisa has to confront reality. She is living in complete denial. Loved Hina bayat. She is not only beautiful but very tremendous actress. Like she is continuously on screen from last many seasons but MA what a range and variety she has. No glimpses of any of her older characters. It is hard to imagine that someone else was playing Mehrunisa before her. SZ how perfectly you described Tabinda i was like how much she changed herself overtly. But only dressing and styling n nothing else.Nadia Afgan is perfect as tabinda. For a drama that is trying to send out a very different message, something that takes time [transformation] i think the pace of this episode was just as good as others, but i am anxiously waiting to see how they wrap it all up. I have to say these 17 weeks flew by, i feel the drama had just started and its already finished. It was great to see a more lively Falak if you must call it so, coming back from her dark days and realizing how she’s forgotten the most important factors of life, Wudhu, Namaz, Quran. I wonder, does this really happen? Are people that far off from religion. i mean isn’t it the basics? One thing I love the most is how they are trying to show an equal balance between Deen and Duniya, and not focusing on one extreme! Thank you for finally showing that there is a grey area and its not always black and white! my favorite dialogue: “Naani kise ki bhi lambi umar nahi honi chahiye” It hit home! yes kise ki bhi umar itni lambi nahi honi chahiye, the more chances to become a person maybe you weren’t or didn’t want to be but in some chances. I think people say lambi umar honi chahiye because Allah gives people a chance to come back to HIM, repent and ask forgiveness. Anyways i am totally with Falak on that one. Anyone noticed, the Dog didn’t bark when Falak came over, for the first time; to which even Falak was surprised that she had to stop and look. I wonder why! This drama has so much that one can talk about it forever. but as Falak says “mujko seedhe raste par laga Malik.” because once that happens sab kuch khud ba khud sahi ho jata hai, haina? Naani says everything is an azmaish and yes i really do feel Rishtey are the biggest ones, they are the ones that shape us, make us who we really are. and yes sometimes its not always the right thing, but there comes a point in our lives when we have matured and can differentiate the right from wrong and should be able to make our own rightful decisions so yes to entirely blame Mehrunissa for Falak’s mess did seem a bit unfair. Except, Mehrunissa pleads to her mother to talk to Falak since thats the only person she listens to but when Falak complains to her mother she says “tumhe amma ne yeh sab sakhaya ho ga”..ummmm?!!?! People are having issues with the fact that why did Falak go back to Salman even though he should have came back to her. If you pay close attn to all that Naani says she is absolutely right. Its not that Falak has akar but they both are not taking the first step because of ego. If Falak goes back to her own house and talks it out with Salman it won’t make her a smaller person, but will make her the better person, hes too blinded by Tabinda’s mess to see anything else but maybe he’ll finally realize how wrong he was all along, I dont think its an anna ka masla at all. But still eager to see how the end turns out and if we see Salman seeing the other side. I simply loved the episode and for what reasons…Starting scene with Falak lying down on bed and recalling Nani’s words of pearl..for me that moment i saw myself on that bed…these dialogues were much needed at least for today.. they gave me some energy boost.. Surely, no one is with us except HIM.. The ‘Khulaa’ scene, greatly presented with thought provoking dialogues.. very very awesomely acted by Hina and Sameena. and then Scene of the Episode.. which starts from as Ash mentioned about that dog not barking, and it was pleasant to see such small thing being shown and noticed; Nani what are they reading, and reply was Surah Faateha, the Surah in which whole Quran is being summed up.. translation was amazingly done which literally moves you and Falak reciting Surah… her expressions showed she is understanding what’s written with that background score..enough to give you shivers and makes your eyes wet..I actually couldn’t control my tears.. Mahira Khan..again a flawless performance. The ‘Wudu’ scene was another eye opener, as many of us, still don’t know what is actual way of doing it.. the small girl demonstrating steps of Wudu, and confused look of Falak was brilliantly shown. SZ,you have written so right for empowered Falak, her decision of going back was with full confidence but no arrogance at all.. The Second face off between Falak and Tabinda was again remarkable.. why is that so every time i see Nadia Afgan on screen, its such a pleasant feeling.. i so loved that scene..
Like so many others have commented before,SZ’s review leaves little room for any further explanation, your analysis says it all and does it beautifully as always.Thank you! 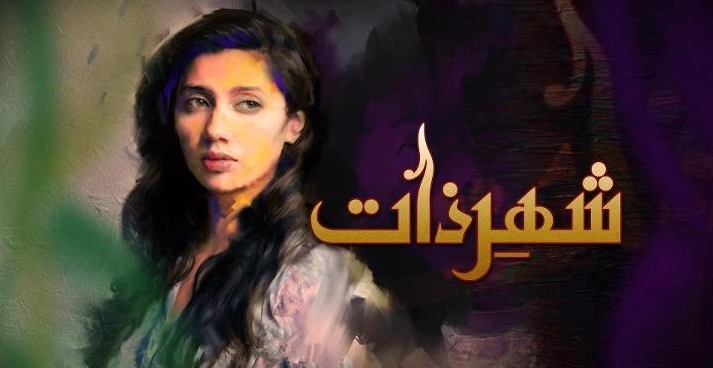 This episode was the denouement of the story,winding down -hence the mellow pace and the feeling of “tishnagi” that some of us have felt because we have come to expect so much from Sarmad & co, looking perhaps for clearer answers ,a resolution of the predictment that Falak (and so many others who can identify with shades of her previous self-involvement in their own personalities ) finds herself in. Falak ,as someone else commented before , is indeed lucky that she found ‘realisation’ and is well on her way to a stronger,evolved self .Not everyone’s search for redemption, however, is as linear or indeed as rewarding. It would be interesting to see how Mehrunissa resolves her own inner conflict brilliantly conveyed by Hina, its amazing that inspite of playing a mother in serials back to back , she succeeds in bringing such diversity to the role! Shere-e- Zaat’s beauty and success lies in its abilty in forcing us, as viewers, to at least ponder, reflect, do ‘taffakkar’ and hopefully try to distinguish between ‘need and greed’ ,even when the greed is for Sania Maskatia’s dresses! Even more amazing is the fact that it managed to attract the attention of the most jaded of all viewers -my teenagers,self-confessed Gleeoholics who on Fridays promptly park themselves infront of the telly at 7:00 and have been following it for the last 16 weeks.Thank you HUM tv! Lovely review as always and all the comments pretty much covered everything, I don’t have much to add seeing I’m so late commenting! Just that have to agree with SZ, that Naani has been saying these things all along to Falak and her mother, about remembering Allah , and not to just follow dunya. I think her friend talking about her like that made a big impact on her. I don’t think anyone is saying that what happened to Falak is because she didn’t raise her to be god fearing. It’s when something bad happens, as Falak said, “mama you didn’t teach me who to turn to, who to ask help from”. She has no connection with Allah and in the lowest of her lows she was absolutely lost, I mean not even knowing how to pray properly and to not know Wudu, yes I would blame my parents for bringing me up that way. I think that is what they were trying to say. Yes Azmaish can happen to good and bad people, its not necesarily a punishment, only Allah knows. I don’t think Naani ever said that if Falak was a believer, this wouldn’t have happened to her. She has always just talked about it being azmaish, and to turn to Allah and remember him. Anyways that’s my take, I also noticed the dog not barking, and Falak noticing that. Final scene was very well done when she comes back to the house. Looking forward to the finale, I’m sure Falak asking salman about Tabinda has much more to the conversation, hopefully they wrap it up with a satisfying end. All good things do come to an end, I will miss it but know that this is the right time and then we have ZGH coming so not too depressed! Thank for you saying what i have been thinking, out loud! i am not sure why people are missing the central message of azzmaish! yes this can happen to believers as well but who said it cant happen to people whose imaans weren’t as strong! but i think the main concentration in this is, it happening to Falak who knew pretty much nothing about God and Azmaish even though naani would always tell her ke tauba kar liya karo. shes realizing all this now. I think they show enough dramas of the same thing happening to believers, wasnt that what meri zaat zare benishan was almost about ? so why are people stuck on the same fact over and over. bad things can happen to good and bad people both. It all depends on how Allah tests his people and how the people finally realize whether they were good or bad bc you never know who Allah might give that wake up call to. A message being told so well and most people are still missing the point is sad to see. I think the problem is everyone is so stuck at seeing the same things over and over again, they are not used to such a sensible story. As Falak says this is all an azmaish and she is one of the lucky ones who was able to figure it out and change her ways, learn what she doesn’t know cause even God says its never too late to ask for forgiveness. I’m trying to meet some deadlines so can’t reply at length, but I’m so addicted to reading all the convos, that couldn’t stay away! Loving al the comments and its great to see the diversity of opinions – to me that is the success of SeZ, that in this day and age when we barely have time to keep up with our real lives, here we are, so involved in all the characters’ motivations and relating to them on so many levels. Moreover, as @Afia and @Fariha mentioned, the fact that teenagers and younger kids are also watching attests to the aptness of the message; how clearly it is sent that its not just us – all flighty Falaks in some way shape or form – but even the younger members of the audience are getting it- It could’ve just as easily become very preachy and off-putting, but kudos to Umera, sArmad and team SeZ for a job well-done! Agree with all, that it will be interesting to see how SeZ is wrapped up on Fri. I think as many of you have already mentioned, I would not want Falak to compromise and reconcile to playing second fiddle to Tabinda. I love this twist theyve put in, so we are left guessing. The recap, which I finally saw, b/c I couldnt resist, has left the ending very open. @SK: so with you on the ghami and khushi part! Have to say will be sorry to see SeZ end, but hey!! get to watch ZGH finally!! Thank goodness it’s over. I feel it’s goodness in viewers’ hearts which has elevated an average series into something moderately popular. But we mustn’t compare it with ‘Humsafar’, that was truly outstanding, without speeches and sermons. Sorry to disappoint but it’s not over! Perhaps they have few more sermons for the viewers. However I must give credit to Tabinda, she is better actress than our emotionally unstable Falak. Thank you SZ for a beautiful review. I have just started watching Pakistani dramas… Since the beginning of 2017. I am watching ShZ for the second time and I keep having the recurring doubts…. It’s easy to blame others… I did not appreciate the daughter Falak blaming her mother for her bad tarbiyath… It was after all the husband Salman’s fault, for leaving Falak, for falling for a bad woman, for straying, I don’t think his reasons are shown or justified…. Why is that so?? I understand parent’s karma affects the kids…. But aren’t they all too hard on the mom MNiza?? It is no fault that she is married to a rich guy, leads a comfy life, she does charity too… She rightly asks, if my tarbiyath of yours is not right, would you have been happy if I had turned you into a moulni?? Please shed some lights on my confused ramblings… Anu. Hi Anu, welcome! Thanks for reading and taking the time to comment. Re: the question of blaming Mehrunnisa: For me this was Falak telling her mother that while she taught her all about worldly things, and made sure that she got the best of everything worldly she forgot to educate her about the very basics – humility and shukrana. While these might seem like very small things but if you look around these basics are so very easily overlooked as we go through our daily lives – all the tim complaining about what we dont have rather than taking time to be grateful for our blessings. I know I dont do it often enough. If you have read through the comments on these threads you will see we were all talking about the exact same things .. how rare was it for all of us to stop and think about offering thanks, and then not only that but also teaching our kids about how to be good human beings. We talk to kids about being good students, importance of good manners, being polite, etc, but how often do we stress the values of humility, gratitude, etc. And this is what Falak’s questiong her mom about. And M turns around and brings up the issue of being a mulani, but in doing so she misses the real question Falak is asking. Spirituality is not about rituals it is about understanding the spirit of these rituals and thats what Mehrunnisa is on a journey of realizing. Hina Bayat, the actress playing Mehrunnisa, also addresed this question in her comments on the various threads .. check out her detailed comment on the final ep review. Re: Salman not getting blamed: This was about Falak’s spiritual journey hence the focus was on her evolution. Not like Salman got away scott free he was gyped by the likes of a Tabinda, a woman he probably thought should have been grateful to him for life for all tha he gave her, but so much for his thoughts .. Also the way she left him made him a laughing stock out of him. Also, previously he had always held himself superior to Falak but now when she returns she comes back with her head held high .. the tides have turned and it is he now who is a traveller on the journey of self-discovery.